SAFETY – Students are expected to keep themselves and others safe while playing at recess. Swings: sitting only no twisting or underdogs, no standing or jumping off (flying dismounts). No snowballs (except at designated targets), sliding on ice, hitting, fighting, shoving, poking, tripping, or playing that becomes too rough and may cause harm to other people or property. Teeter-totters – one at each end only; no standing or sitting on middle bar. Slide – One person down at a time. Go down feet first. No standing or jumping off. No clogging the inside or steps. No climbing up the slide or the outside. Tires – no standing on top of and / or jumping off. Jungle Gym and Monkey bars: – no standing on top. No swinging trying to knock someone down. BEHAVIOR – Students are expected to show respect to all adults and to each other. Student should be cooperative, polite and truthful. No spitting, swearing, bullying, teasing or name calling. 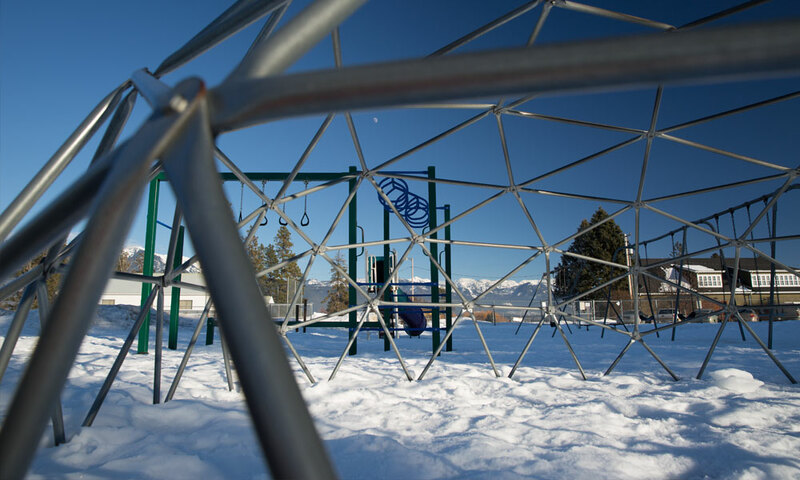 BOUNDARIES – Students are expected to stay within the playground’s boundaries. Areas that are off limits: ramp outside Mrs. Shanks’ room, parking lot, and beyond the pump house and shed. Students must ask permission to retrieve balls, toys, etc. that go over the fence. Students must ask permission to go inside to use the restrooms. One at a time. CLOTHING – Students are expected to keep warm and dry. Warm coats, hats, and gloves / mittens must be worn in cold weather. Coats on a bench when taken off in warm weather. No playing in mud puddles, on ice or standing water. No radios, CD players or any electronic game /device. No touchbacks, or Tag near the swings. Baseballs, superballs or other hard balls are not allowed on the playground. All balls / playground equipment to be returned to the cupboard after each recess (otherwise locked for next recess). A warning may be given to a student for not following the rules: if misbehavior continues then either time on the wall or a lap or two around the grounds will ensue. Just using our common sense is the best way to handle the playground. HAVE FUN!